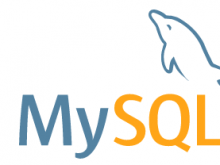 MySQL command line provides a full fledged application that allows interaction with mysql engine so easy. In MySQL command one thing that would annoy is when there is larger result set and scrolling is static or not even accessible. If you have larger result coming from mysql and you want to scroll through the result on mysql terminal? How to add scrollbar to mysql result in mysql command line? Or have you asked how to scroll on results of terminal mysql? After downloading mysql dmg on mac if you go to terminal and try to issue mysql command and get mysql command not found there keep reading. This, in most cases, is the terminal not knowing the mysql command unless you go to the actual installation folder. If this is giving you the right mysql information, then it is a matter of telling the terminal what the mysql command is. The above command would simply append the path command you exported to the .bash_profile file. Mysql would alert you if there is an already existing row in your table that is violating the newly added constraint.